On the second floor of the Engineering Technology building is the RIT Absolute Tracking and UAV Virtual Reality Simulation Lab. The lab consists of two adjacent rooms that are connected via an internal door. 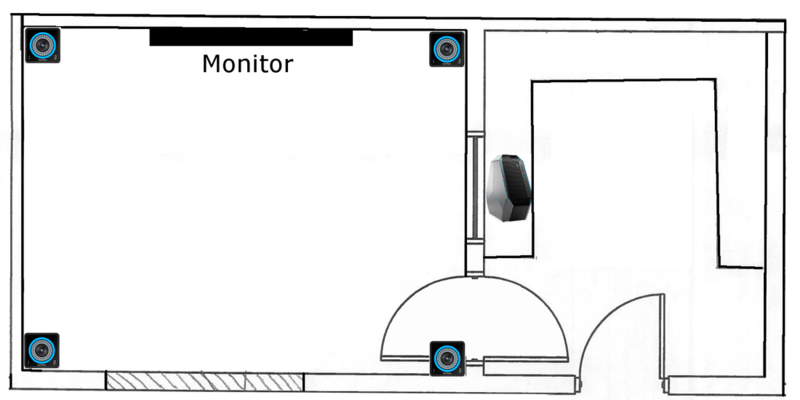 The leftmost room contains the Optitrack tracking system and will contain the NVIDIA BFGD monitor that will be purchased in Q1 of 2019 when they become available. The rightmost room contains several computers for student research as well the Dell Alienware Area 51 high end machine. There is also a double-pane glass window between the rooms that allow operators to look out into the flight room from the safety of the control room. Lastly, within the past month, there was a window added to the left room so that tour groups can enjoy watching our amazing UAVs.